I have always loved the "sporty" look. I thought I would add a feminine flare to it. And since becoming a mom, hats have become my best friend. 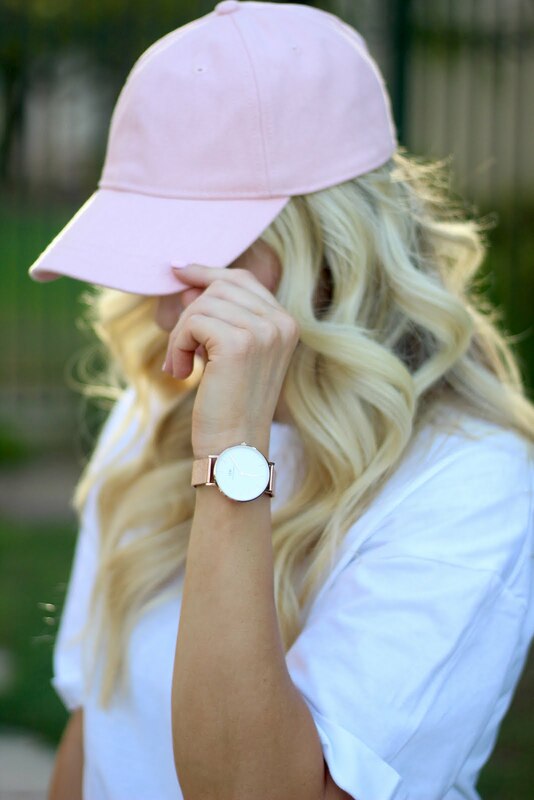 And when you find a pink hat, its a double win! This T-shirt Dress is only $24 a seriously one of those pieces that is so easy and grab and style when you are rushing out the door or feel like you don't have anything to wear.